Philippine Flowers Delivery | 36" White Teddy Bear. 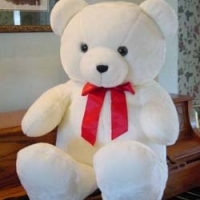 36 inches white teddy bear ! Your gift will come with a greeting card and your message.